During the 1950s, the U.S. Food and Drug Administration established its official parmesan cheese definition. According to that set of requirements, it cannot have over 32% moisture, while it also must maintain a granular texture, have a brittle and hard rind, grate readily and be from cow’s milk amongst other things. Nowhere in that definition does any suggestion of wood pulp being one of the appropriate ingredients. Nor does it read that it is acceptable to substitute cheeses that are less expensive like swiss, mozzarella and cheddar. What is parmesan cheese if it is not just that parmesan cheese? Yet, parmesan cheese somehow advertised as being 100% parmesan cheese appears to include other cheese and wood pulp that is unbeknownst to most of us. In 2012, this unusual tactic first came to the attention of the FDA, when it discovered evidence that Castle Cheese Inc that sold a number of shaved Romano and parmesan cheeses and was introducing other substances into the parmesan cheese. The regulatory agency of the U.S. government wrote to the company with a stern warning, that said the product labels called the cheeses Romano and Parmesan but they are in fact just a mixture of various different cheeses and other things and that the parmesan cheese did not contain any parmesan cheese. Parmesan is considered an Italian, hard cheese defined by high salt, low moisture and a medium fat count. Mozzarella is moist, low salt, soft and does not require the aging process needed by Parmesan, which makes it less expensive to produce and cheaper to buy. The FDA charges against Castle crippled the company, which reportedly sold cheeses that were doctored. Castle filed bankruptcy the next year and Michelle Myrter its president is expected to file a guilty plea to charges related to the issue. The foul play of Castle seems less that an ailment that is industry wide. 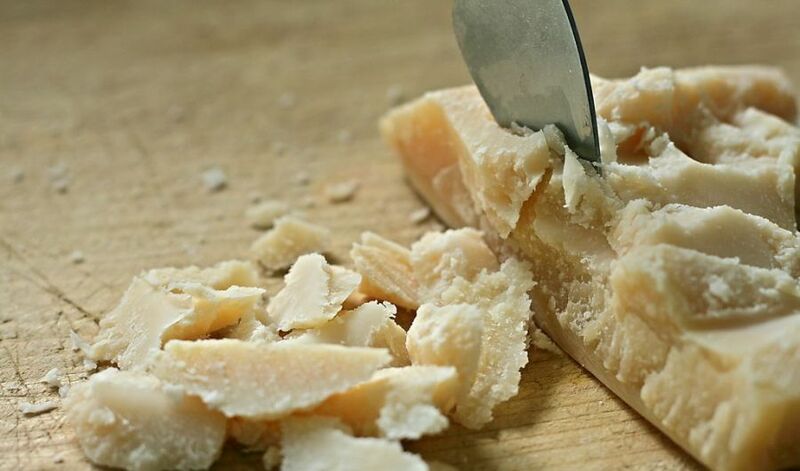 A new report released by Bloomberg News tested parmesan cheese that was bought at different stores across the country. It found that other brands that advertised their products as 100% parmesan cheese were not 100% parmesan cheese. The guidelines of the FDA are somewhat vague about the cellulose levels permitted in the cheese. Cellulose is an additive made of wood pulp that stops the cheese from creating clumps. Markers of cheese can use what they want to keep their cheeses from clumping up and the standard is thought to be 2%. However, some of today’s cheese makers are selling their product that had over four times that amount, said the Bloomberg report. One grated cheese was actually less than 40% cheese. One expert believes one fifth of all hard cheese produce in the U.S. are mislabeled.